As the weather begins to turn and temperatures drop, the skiers and snowboarders out there are starting to think about the upcoming season. 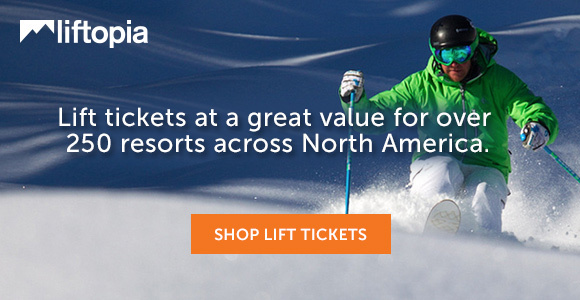 You’re thinking about getting that seasons’ pass; buying some new skis and/or planning a winter vacation. If you are in the Ski Patrol, it’s already mid-season. Training season is well underway for most patrollers. The main event – ski season – is coming. And then there is off-season. If you are thinking “wouldn’t it be neat to be a ski patroller?” then read on. It is still and will always be about being outdoors on a winters’ day. But a year in the life of a patroller is much more than ski season. September, October and November is training season for most patrollers. National standards for training and testing ensure that all patrollers across the country are equally capable wherever they patrol – be it a small eastern ski hill or a large mountain resort in the west. Training covers a variety of conditions in order to prepare the patroller for virtually any situation. All patrollers are required to re-certify every year in an advanced first aid course which includes CPR, AED and Oxygen Therapy. Completion of the certification course includes written, skills, diagnostic and CPR/AED testing. In getting ready for ski season, there are meetings and discussions with hill management to plan for the coming season. Are there new runs, lifts and/or alterations to runs? At the patrol level, equipment needs to be checked, first aid supplies ordered and the patrol room/hut cleaned up. There will be a patrol orientation as well as lift evacuation practice before the snow flies. December through to April is prime time in the patrol. Every patroller lives for their time on the snow so winter can’t come soon enough. Skiing or boarding is the #1 reason to join the ski patrol. But there’s a host of other benefits (besides first aid training) including volunteer hours, area access privileges, patrol supplier discounts, personal development, social events, etc. Training continues with on snow certification and accident scene management. The focus is now on skiing or boarding skills, rescue toboggan handling (including when loaded with a patient), communications, avalanche, search and rescue and lift evacuation support. As winter sports have evolved over the years so has the ski patrol with new safety and emergency care. In the off-season, many patrol zones provide first aid services for non-skiing events, like marathons, 10k runs, Iron Man competitions, and more. You’ll see patrollers at the first aid tent and other strategic event areas as well as mobile (walking, on bikes and in vehicles). Patrollers are first aid experts, work well as part of a team and are well versed in treating athletic injuries. The ski patrol really is the leader in mobile first aid services so other sporting events are a natural. That’s pretty much a year in the life of a patroller. Training is fundamental to what we do but it’s still about the fun. If you love the outdoors, want to be part of a team and have a desire to help others, the Patrol may be for you. For more information on joining the Ski Patrol, visit the National Ski Patrol (United States), or the Canadian Ski Patrol. Do You Have What it Takes to Be in the Ski Patrol?